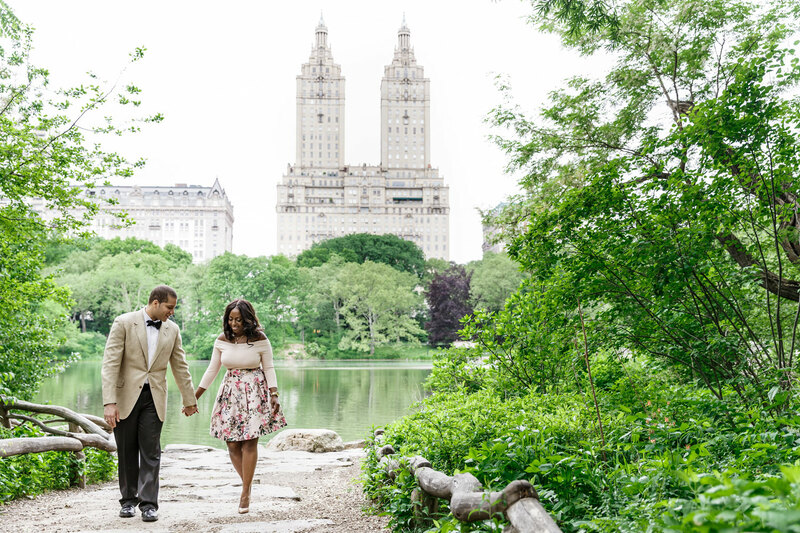 Gather inspiration from Kimian and William's sweet New York City e-session. Kimian Dewar and William Murray III met in the fall of 2010 at an event for Williams' fraternity, Alpha Phi Alpha. 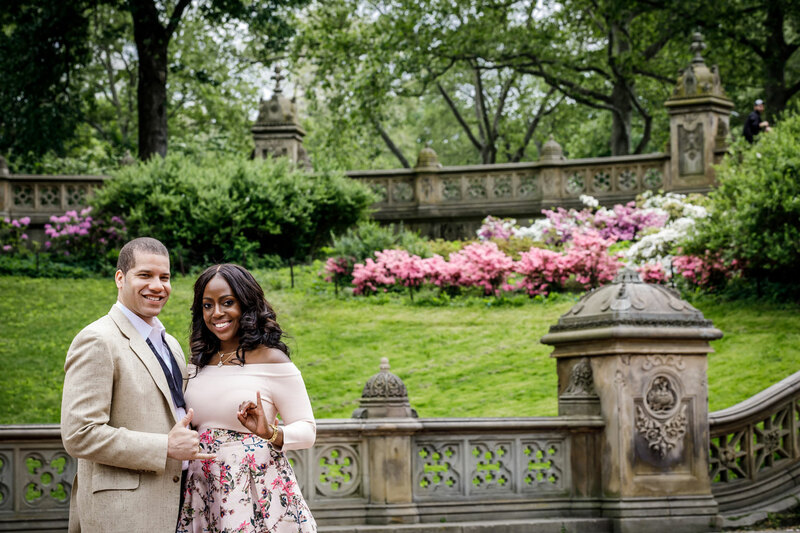 He was overjoyed when he saw a group of "pretty girls" from a sorority – Alpha Kappa Alpha – closely affiliated with his fraternity. 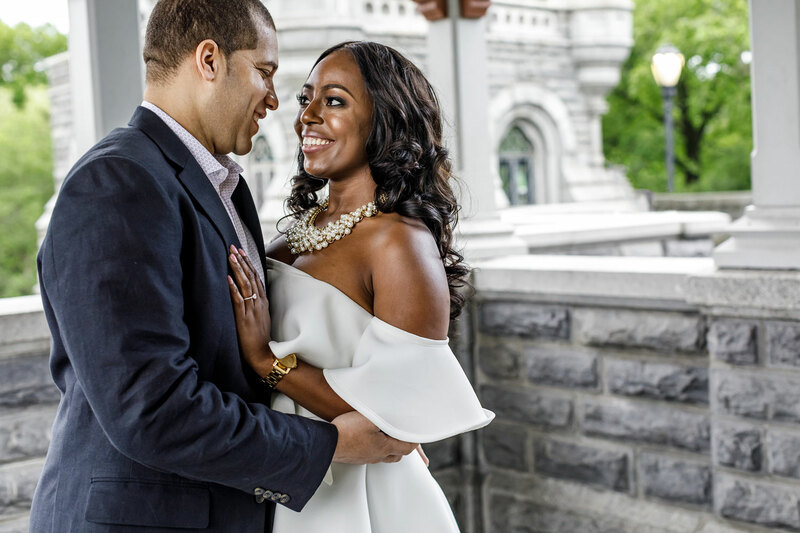 "I immediately caught his eye and he wasted no time in turning on his infamous charm and asked for my phone number," shares Kimian. "He was humble, kind, and down to earth." 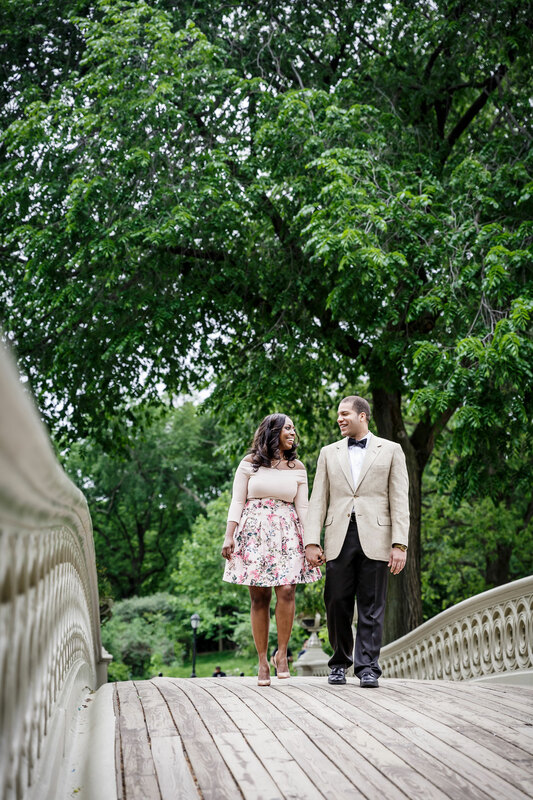 Six years later, William proposed at their alma mater where it all began. 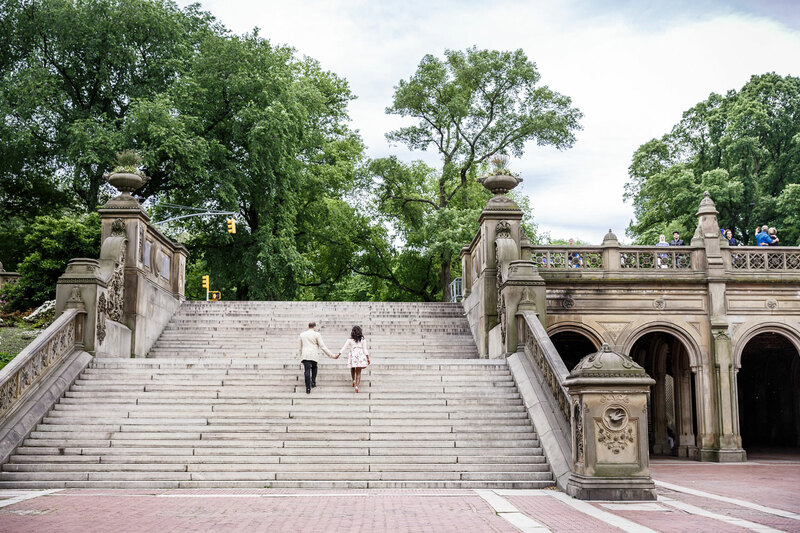 When choosing where to take photos for their engagement session, the duo chose Central Park since they spent a lot of time at the famous site when they first started dating. 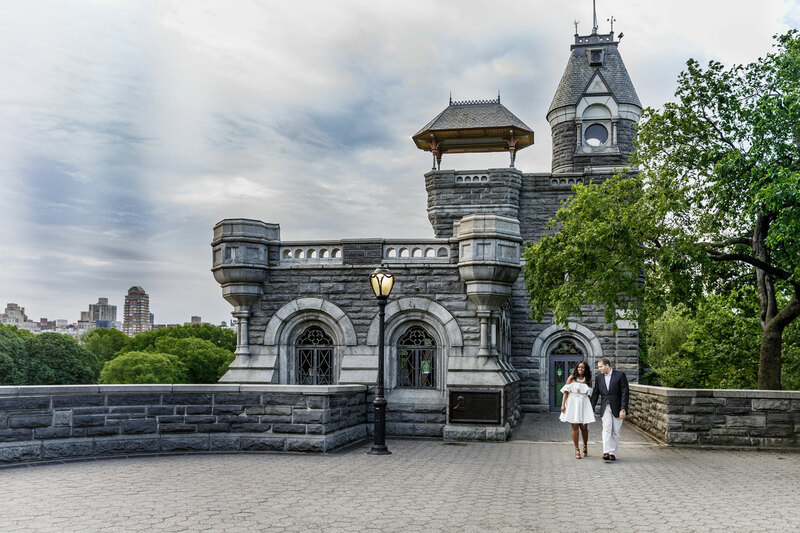 The shoot began at Belvedere Castle and ended at the Bethesda Terrace and Fountain. 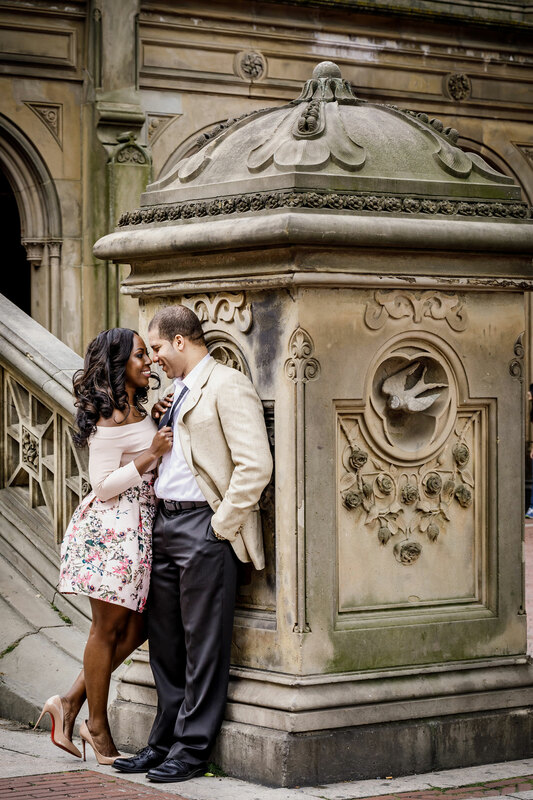 "This was memorable because it is the location of one of the first photographs we had together when we started getting serious," notes the bride-to-be. 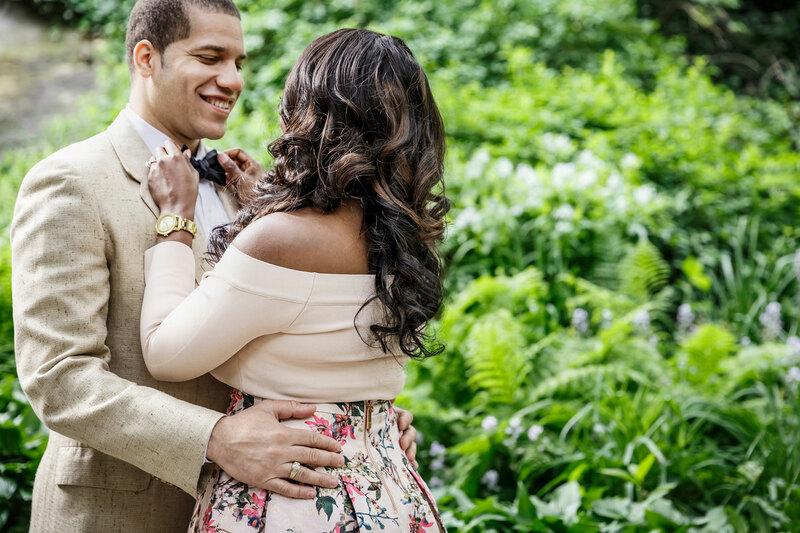 Their photographer, Amy Anaiz Photography, captured their chemistry and personality throughout the day. "The shots of us sharing laughs together most reflected our personalities. 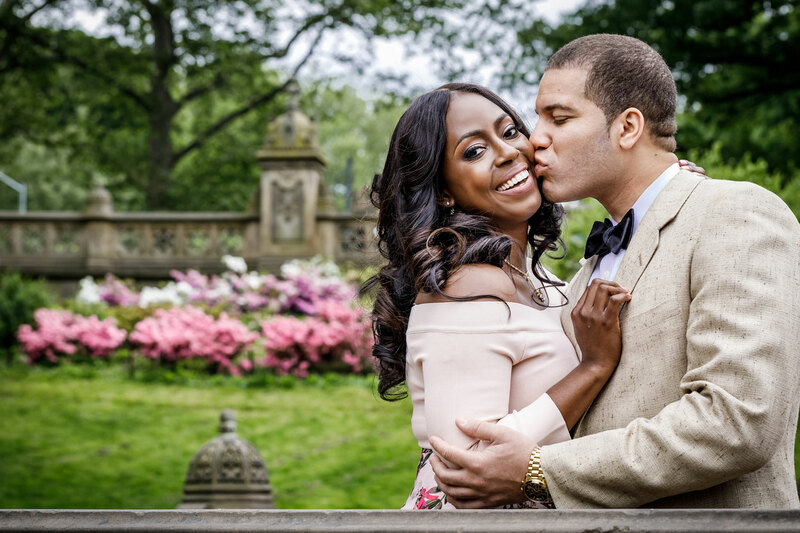 We share a similar sense of humor and enjoy making each other smile," says Kimian. The duo also made sure to incorporate black and gold as well as pink and green into their wardrobe as an ode to the fraternity and sorority that brought them together. 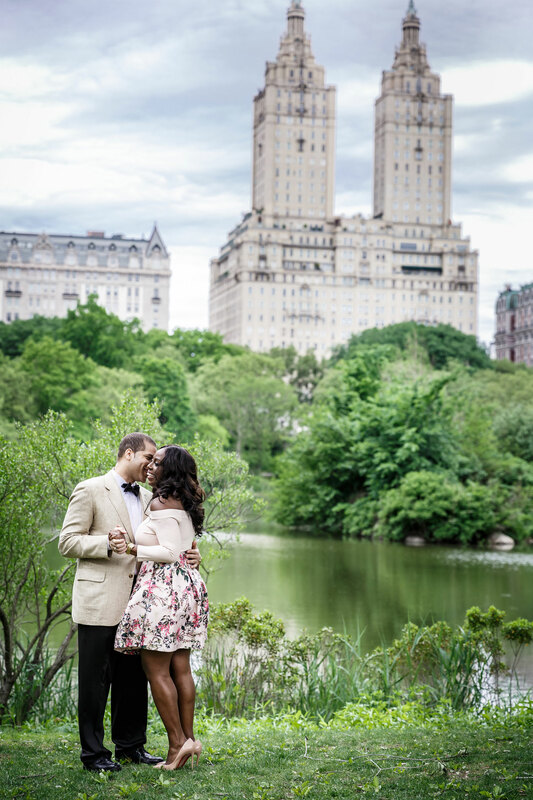 Take a look below to see photos from their Central Park e-session! 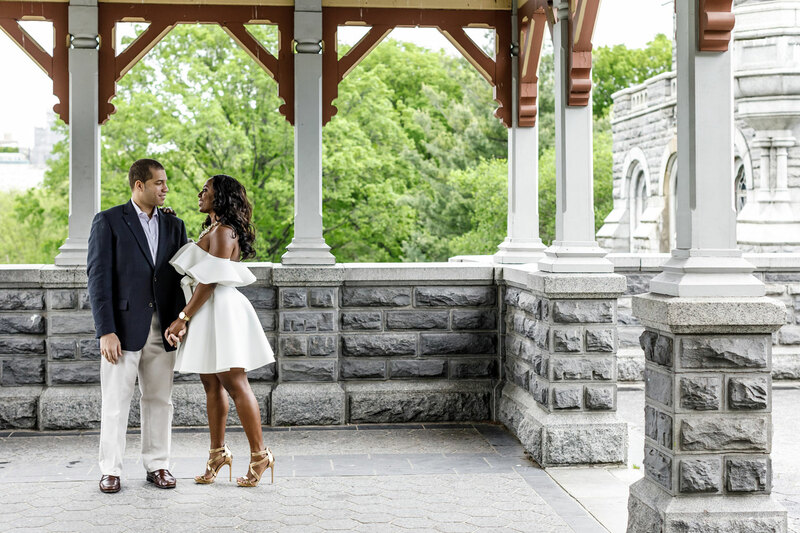 For more engagement shoot inspiration, view these e-sessions in Paris, Brooklyn, Malibu, and Palm Springs.